The Lasallian Youth Gathering is the premier event for Young Lasallians in the District of ANZPPNG, occurring once every 2-3 years. LYG embodies our Lasallian zeal and Young Lasallians' characteristic zest for life, bringing our community together in large numbers not seen at any other District gathering. 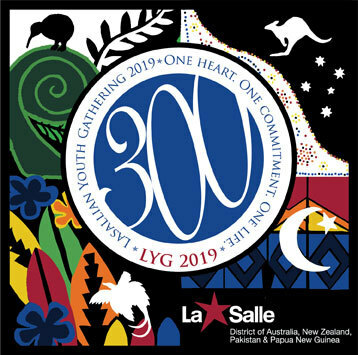 Through inspiring keynote speakers, relevant workshops, facilitation by the Young Lasallians team, service opportunities, an engaging experience of faith, and so much more, LYG2019 will above all be fun! The last LYG was held in Sydney in 2017 and gathered over 250 Lasallians from around our District. We can't wait to welcome our Young Lasallians family to Melbourne 2019. All school groups will be staying at the Bayview on the Park throughout LYG. Accommodation will be provided from Saturday afternoon to Tuesday morning. A link to an invoice will appear after you complete the registration form. It will also be sent via email with full details for all payment options, including credit card and direct deposit. Please contact Janene Populin on 02 9795 6450 with any questions. FULL PAYMENT MUST BE MADE PRIOR TO 1 APRIL 2019 IN ORDER TO ATTEND LYG.